Some days back we brought to you a family with 8 kids. 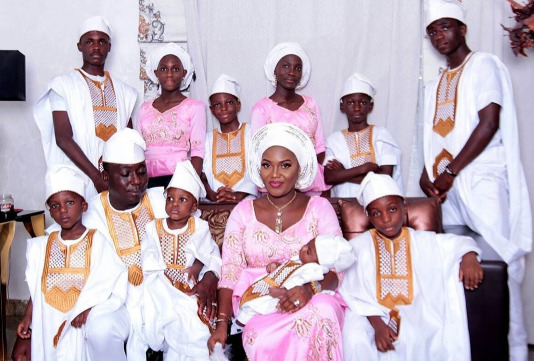 Well, here is a lovely Nigerian family with as much as 10 children. Kudos to the woman...e no easy! "One big large family. The Grace of God made it Beautiful, He also made it easier for me, He put cooperation in our mist, He made things beautiful in his own ways. Don't doubt the Lord. Thank u for ur grace upon this family."